All are invited to a fun-filled Friday night at St. Peter's by the Sea. 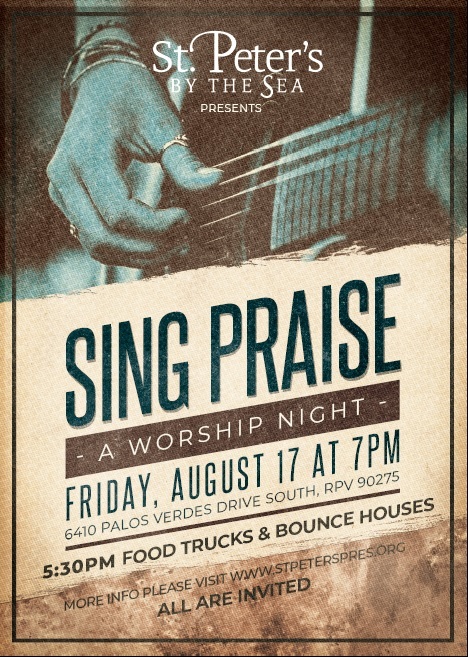 On the patio & lawn enjoy delicious food (vegetarian choices available), cool off with Fluff Ice, and bounce joyfully in Bounce Houses, then move indoors for our 7:00PM Praise Band Concert! Food Trucks, Bouncing & Fluff Ice @ 5:30PM.